If you have a problem with a wasp nest or need bees removing, Axatax can help. We provide quick, efficient and cost-effective wasp nest removal across Milton Keynes and the local region. Wasps and bees can not only be a nuisance but also a potentially dangerous form of pest infestation. It is important that wasp control is a high priority and any wasp nest removal is undertaken by a trained professional as there are risks. Wasp nests are most commonly found in small, sheltered areas of premises such as cracks in walls, lofts, and bushes or trees surrounding buildings. Wasps and bees can cause serious harm to people who have an allergic reaction to their stings so it is important to ensure wasp control is in place and deal with a wasp nest quickly before employees or family members are injured. Wasp and bee nests can be detected even if they are out of sight – look for a stream of the insects flying in and out from a particular area. So, if you are looking for a wasp nest removal and you are in Milton Keynes or any surrounding areas, Axatax can visit your premises and deal with the problem quickly, efficiently and usually the same day. Wasps are very protective of their nests and will not hesitate to attack if they feel threatened. Nests begin in late Spring every year, increasing in size throughout the Summer and can be found under your roof tiles, holes in the wall, hanging in a tree, holes in the ground or in your shed. Look for a stream of wasps flying in and out from one particular area. If you suspect a nest, telephone us and we can normally deal with it the same day or certainly within 24 hours. 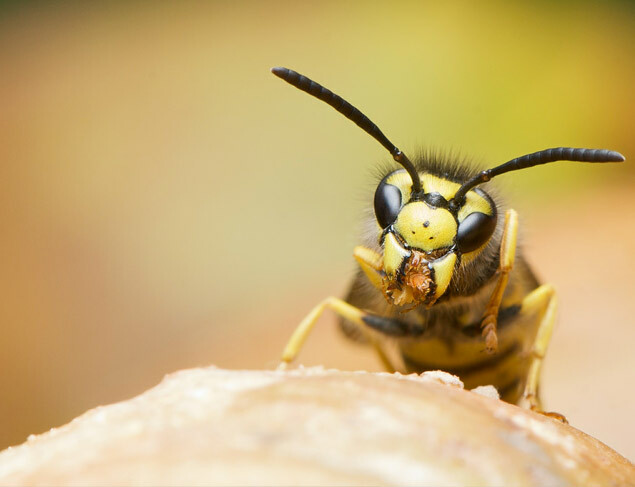 Nuisance wasps are usually foraging for food away from the nest and can cause a problem in your garden or public areas where food is being served. These are best dealt with by professional trapping – telephone us for details. Bumble bees are relatively harmless creatures building their nests in holes in the ground, in or under your shed or under the tiles in the corner of your roof. We always try to rescue and re-locate bumble bee nests wherever possible when carrying out a bee removal in Milton Keynes or the surrounding area. Honey bees can cause problems if they build a nest in your house, wall or chimney. The accumulation of honey can cause damage to your property and if the nest is ignored it will continue to grow in size each year. Swarms of bees will appear in early summer and we can usually collect these. If a nest becomes established we will try to rescue the colony if we can but in any event it is important that nests are dealt with professionally to avoid any legal implications. Telephone us for advice or to learn more about wasp and bee removal.